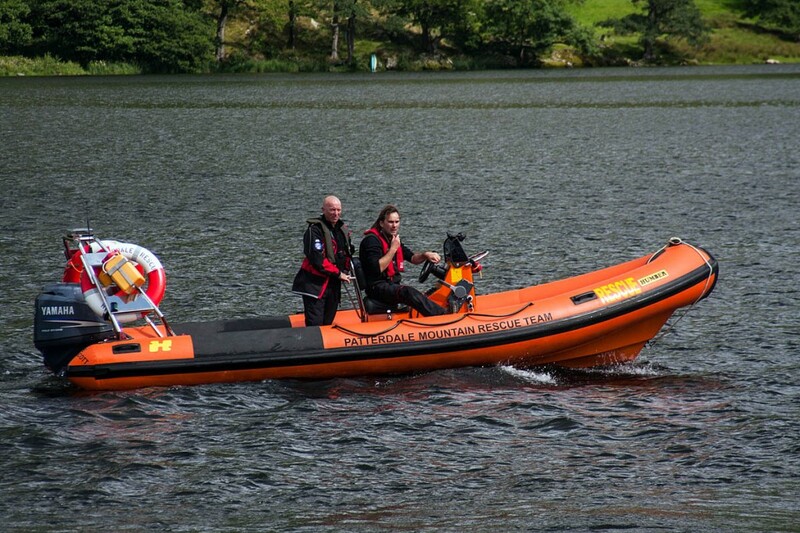 Members of a Lake District mountain rescue team took to the water in the early hours of Wednesday after a domestic incident was reported on Ullswater. Patterdale Mountain Rescue Team received the call for help from Cumbria Constabulary about 2am to try to find a yacht on the lake. Members of the public reported the incident involving a couple said to be intoxicated and arguing after drinking at a local hotel. The pair were in charge of two children and concern was raised for their welfare. The team launched its rescue boat Patrick Scotty with five members on board, along with a police officer and began searching the lake. While the search was underway the yacht was located to the North by another police officer. Patterdale team members stood down and put the boat back on the trailer before they retired after two hours in action. Members of the Maryport Coastguard team were also sent to assist but were not deployed. A man was taken into custody by the police after the incident. Later in the day, the Patterdale team was again called out after a man reported himself lost on a fine day on Place Fell. The callout lasted 1½ hours and involved eight team volunteers.